Find Myrtle Beach, SC Homes for sale. View Photos, Maps and MLS Data Now! Call today and set an appointment to build your dream home! MLS#1909177. Select from eight floor plans and lots of custom upgrades to make your dream home a reality! MLS#1909152. Forest Dunes - Walking distance to Carrabbas Italian Restaurant, Outback, Flamingo Grill & Jungle Safari Mini-Golf! MLS#1909140. Just 15 minutes from the beach! Don't delay! MLS#1909165. **Photos are of a Model home. MLS#1909148. Pictures, photographs, colors, features, and sizes are for illustration purposes only and will vary from the homes as built. Equal housing opportunity builder. MLS#1909205. Luxury resort lifestyle at its finest, Carrarra at Tuscany. Make it your home. MLS#1909192. Spring Lake - This house is a must-see! Motivated seller. MLS#1909146. Pictures shown are from a previously built home MLS#1909150. Carolina Forest The Farm - Measurements are approx. and not guaranteed. MLS#1909169. Pictures, photographs, colors, features, and sizes are for illustration purposes only and will vary from the homes as built. Equal housing opportunity builder. MLS#1909203. Highland Woods - Call your agent and schedule your showing today! MLS#1909215. Green Bay Park - Check out our state of the art 4-D Virtual Tour. MLS#1909186. Rosewood Estates - No property disclosure will be provided. MLS#1909180. 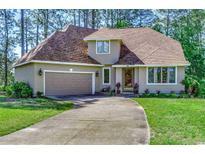 Forest Dunes - This home is a must see! MLS#1909074. It's all here in walking distance and a short drive to the beach! MLS#1909080. Inside or out this home has everything , the only thing missing is you and the memories you'll create ! MLS#1909128. Pictures, photographs, colors, features, and sizes are for illustration purposes only and will vary from the homes as built. Equal housing opportunity builder. MLS#1909108. Carolina Forest Brighton Lakes - Discover this wonderfully located and superior-built gem, today! MLS#1909065. Savannah Shores - Savannah Parks is within walking distance of the beach and just a short drive to all the amusements of downtown Myrtle Beach. Book your showing today! MLS#1909073. Please consult the on-site New Home Counselor for all details. MLS#1909069. Check out our state of the art 4-D Virtual Tour. MLS#1909109. HUD Homes are sold AS IS Equal Housing Opportunity Seller may contribute towards buyer's closing costs, upon buyer request, ask your agent for more details. 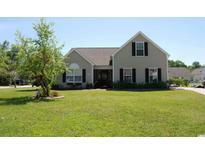 MLS#1909120. The Park At Forestbrook - All measurements and square footage are estimated and should be verified by buyer. MLS#1909127. The Palms - Minutes away from the beach or Coastal Carolina University MLS#1909055.